One of the most powerful songs in the United States, proposed as well for the best party song ever. 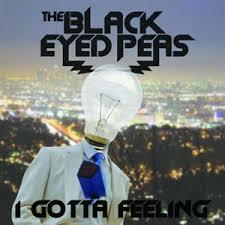 The Black Eyed Peas got the glory with the song "I Gotta Feeling". It was released in 2009 and it was a great success. The song peak the charts everywhere, number one in nearby 24 countries! If you want to know more about the band and their songs, just go to the official website of The Black Eyed Peas.